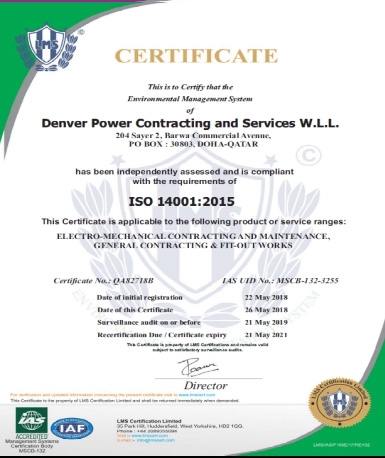 Awards & Certifications - Denver Power Contracting & Services W.L.L. 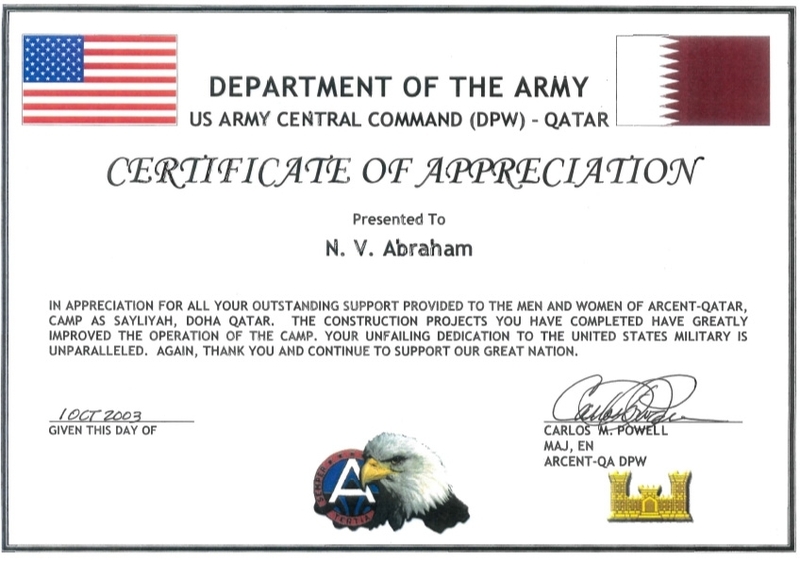 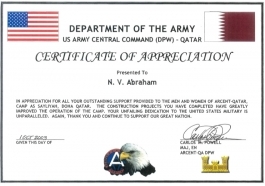 Certificate of Appreciation by Carlos M. Powel (Dept of US Army Command, Qatar) for the unfailing dedication and support to the men and women of Ar cent- Qatar in the year 2003. 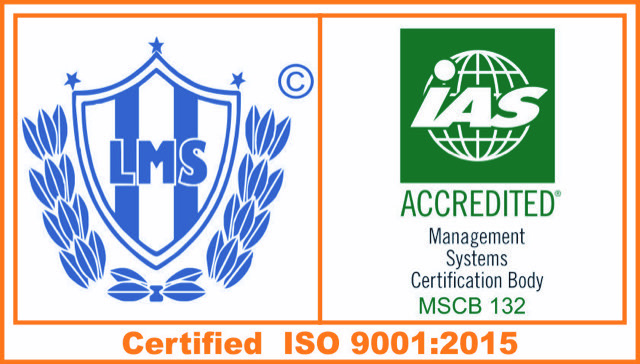 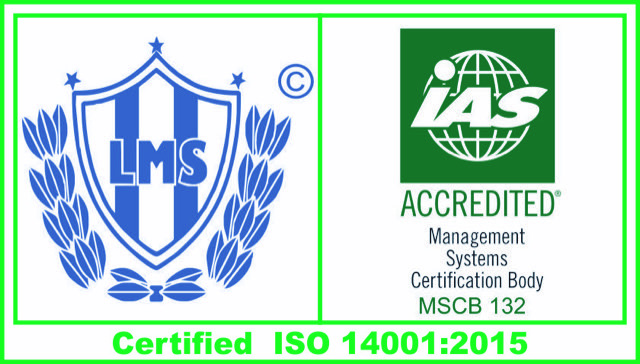 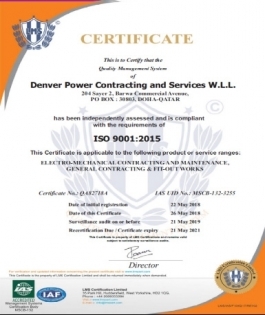 Denver Power Contracting and services W.L.L s proud to announce that it is now certified as an ISO 9001:2015 Quality Management Systems (QMS) by LSM Certification Ltd on 26 May 2018. Denver Power Contracting and services W.L.L is proud to announce that it is now certified as an OHSAS 18001:2007 Occupational Health & Safety Management System by LSM Certification Ltd on 26 May 2018.